The NXT line of gear is MSR’s top-performance race gear and was developed with the world’s fastest off-road racers. No matter what conditions you ride in, the NXT line of gear is the ultimate in performance, fit and durability. NXT is feature-rich, performance race gear for serious motocross and off-road racers. Comfortable technical design with Lycra™ and micro rib collar details. Simplified raglan sleeves with micro-rib cuff inserts for increased comfort. Light-weight 100% spun-poly fabric featuring an extended tail for keeping tucked stability. Jersey is a little thin but very breathable. Runs more form fitting which what I was looking for. Overall great. Nice fitting jersey. I can wear my roost pads underneath, and my elbow pads, and the Jersey still fits great. Even if I wear the pads over the jersey, it feels great. Great price too! Awesome looking jersey and is well ventilated. I like the way it fits on the forearms not being too baggy, but I guess that is dependent on each persons build. The underarms have laser cut vents and the forearms are a nice thin "ripstop" like material. Seems to be pretty durable. Very happy! Very pleased with the fit and the material keeps you from chaffing even under wet conditions. I definitely recommend this product. ???? Liked it better than the Fly brand. My Fly got a snag on the front the first time I wore it and didn't remember doing it so might have come that way. Pick up one of these on closeout and for the price/how long they last I'm happy with them. Will continue to buy these again as needed. Nice fit and looks great. Paired with matching pants, look and feel the part. 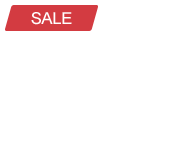 Great jersey at an amazing sale price!! I ordered a 2x and it actually fit like it should. Plenty of room in the shoulders and long enough to tuck in. Have ordered other brands and had trouble with tight shoulders and not enough length to stay tucked in during riding. Don't let the price fool you, it's tougher, better looking and nicer than gear that's triple the price and then some!!! I tried it because I liked the colors and MSR was supposed to be a quality company...but at these great sale prices, I was really surprised how high the quality, fit, and toughness was. True to size. Breathable material. Comfortable fit. Exactly as described and very happy with this purchase from Rocky Mountain. Colors were good and has not faded. I bought my first MSR jersey and pants last year after faithfully wearing a different top brand name. I now always look at MSR first and think the quality is top notch. This shirt is easily worth the price I paid for it. There was a lot of nice features (like armpit vents) that I didn't expect in this price range. Very happy! This is a pretty lightweight and heavily ventilated jersey. The sleeves are plenty long for my gangly arms, even over a chest protector. I've only worn it once, but I shoulder checked a rough tree (twice) hard enough to rug burn me, but the shirt did not rip. I was impressed. This jersey is really reliable and extremely confortable. The MSR NXT Jersey fits great. As a bigger rider I can wear my chest protector underneath and still have a great fit. Bought this along with MSR NXT Gloves and Pants. 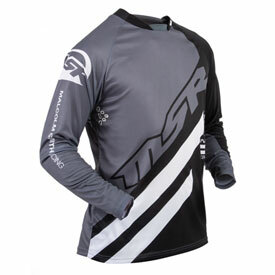 The MSR NXT Jersey is a step above others . This is the third NXT Jersey I've purchased and they last a long time without looking tattered like many lessor brands do so quickly . They seem to be a little thicker in the material but still stay cool . The NXT line is my favorite . In 30 years of riding in and buying gear , only the Moose brand has made me as happy with my purchase. They fit true to size and look great for years. Great look and the comfort is great. Would recommend it for you. Love my new MSR Jersey. Top quality, comfortable, and well designed. Perfect fit. Great price. Slightly more fitted in the sleeves than past sets of MSR but overall sizing and comfort remains spot on. 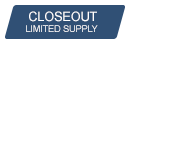 Picked up on MSR closeout sale, fits true to sizing and is vented well - hard to beat them for the price. True to size. Daughter loved it. She wears it riding and when she is out and about. Dries quick! The Jersey is very comfortable and breathe's well. 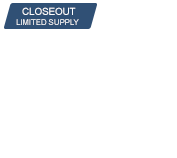 Top of the line and amazingly low price for a full gear set. Jersey fit well and matched the pants I purchased. Fits tight and has good ventilation. Neck is tight for the size, I prefer a V neck. Very nice Jersey for the price. On par with more expensive ones. BEST ANSWER: I found out that the MSR NXT gear runs extremely small. I normally wear a Medium jersey, although a small often feels right, I had to exchange the Medium for a Large, and it still is too tight; I have to stretch it quite a bit to get it over my elbow guards, and it is very tight at the bottom of the sleeves. RM was very good at exchanging it, but I have reservations about the MSR sizing for future purchases. This is unfortunate, since this is an excellent product at a super price. I found the pants and jersey fit small when I ordered large. I would go up 1 size. I ordered the fly kenitic gear and it fit normally. I’m 6’ and 200 lbs and bought a XXL. It’s a little loose but the last XL I bought was too tight. I found they ran a bit small. I had to return for a larger size. They run small so I’d recommend a size up. Flo green looks yellow. Is it comparable to the hi viz tech 7 color? What is the true color? BEST ANSWER: I actually returned the flo green set as the pant was flo green but the Jersey was yellow. Great quality, colors just didn’t match at all. Do you offer customization of jerseys? BEST ANSWER: Unfortunately, we do not customize jerseys. However, we do sell an iron on kit so you can customize your jersey at home. What's going on with MSR? Are they going to continue to make MX gear or are they going to quit? I'm 6' tall and 205lbs. Athletic build. Large or XL? BEST ANSWER: Large might be best, we have a free apparel exchange on the first exchange.